On Sunday, I had the most wonderful day with my good friend Crystal. She and her boyfriend came for a visit and while the boys spent the day at home watching football and doing other boy things she and I spent the day at Terrain meeting the Beekman Boys and watching Brad Pitt!!! So perfect, don't you think. 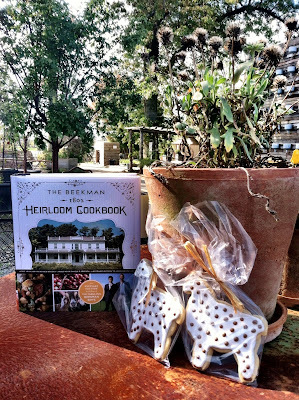 Have you seen the show "the Beekman Boys"? It is on Planet Green, and I really kind of love it. Josh and Brent were at Terrain signing copies of their new cook book and we actually stood in line for almost 2 hours to get my copy signed. Crystal was such a good sport, she did not even know of "the Boys" and still joined me to meet them. Now, I normally would never do something like that. There are not many things worth 2 hours of waiting for....but for some reason I/we did it and well, I got a little star struck. Those "Boys" were beyond charming and I am sure if they had the time they would have totally have wanted to hang out with us. It was so cute. I asked them about Poka Spot, their lama and they said she was fine and then gave us lama cookies. It was fun! We then headed to the cinema and saw Money Ball with Brad Pitt. It was not the feel good sports movie I thought it was going to be but I really enjoyed it none the less. I really just love Mr. Pitt and quite enjoyed watching him on screen for a couple of hours. I hope everyone had a nice weekend, it was just so nice to be out and about. I know I wrote another comment. Where is it? You look beautiful. i am in love with your dress, claire. where is it from!? you look beautiful. so glad you had a wonderful day! 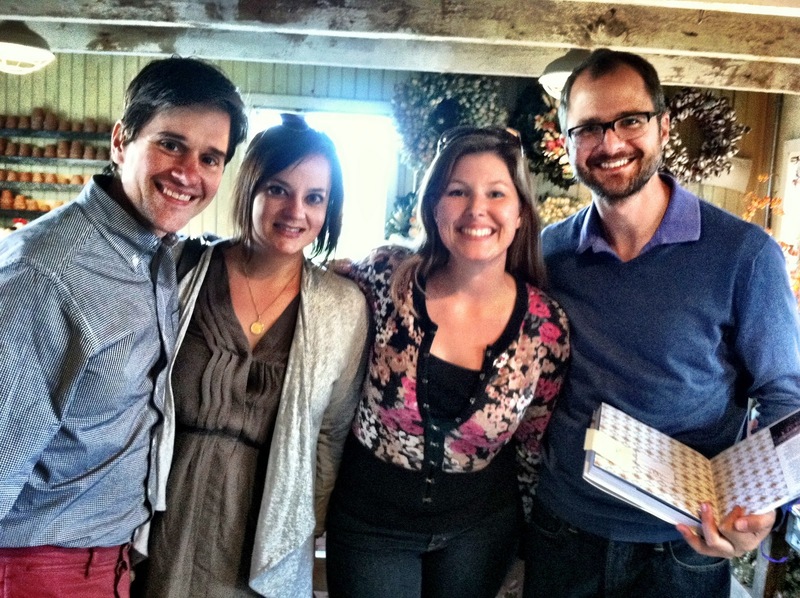 Thanks for the wonderful Sunday Claire - you are truly a wonderful friend and hostess!! 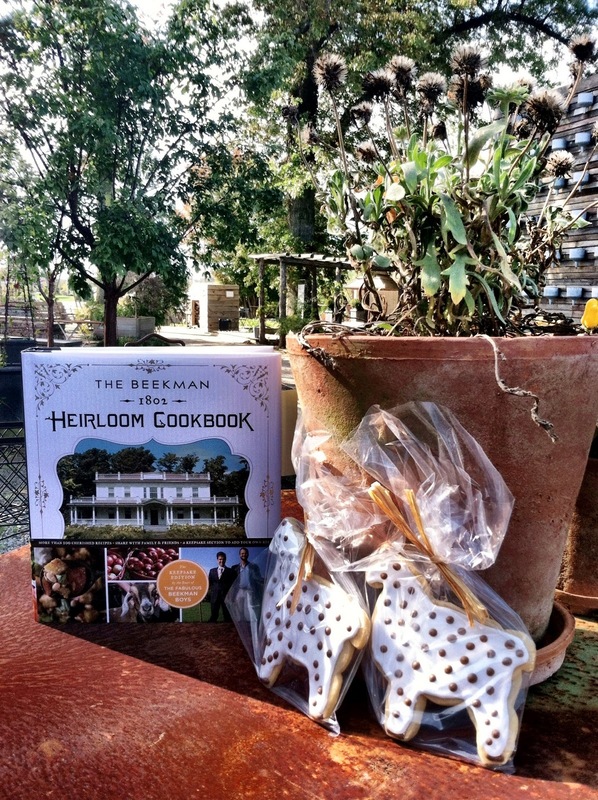 The Beekman Boys adored you - next time we'll lure them back to you fantastic new kitchen! Can't wait to try out the Himalayan Pink Sea Salt!! @Katie, the dress is from JCrew. Next book signing you should come. @crystal, it was a great visit. I loved spending it with you. i am gonna miss you so much we you go west! :)(: enjoy you pink salt.